That is where support groups come into the picture. AARP notes: "A good caregiver support group can be a lifeline, providing a place - in person, on the phone or online - to share feelings confidentially, make new friends, get help navigating the health care system and learn from others who have walked a similar path." Humans are hardwired to need and value social support from their peers. A caregiver support group is designed to meet that need for those down in the trenches, caring for their loved ones day after day. When you become a part of a caregiver support group, you find that others are experiencing the same feelings of grief, frustration, anger, and sadness that you feel. In other words, you discover in a support group that you are not alone and that others feel the same things that you feel. This can be a great comfort. Additionally, support groups often provide valuable information about how to handle certain common caregiver issues, how to develop coping skills, and how to navigate the healthcare system with a measure of success. Caregiver support groups offer a safe haven, where caregivers can speak openly and honestly about their challenges and receive much-needed understanding and kindness. A primary focus for many support groups is to teach caregivers about the need to invest time in their own health and well-being. Being with a group of people who reinforce this concept of self-care serves as a reminder of your own needs, which may have in times past, been pushed aside in favor of the pressing needs of the senior for whom you have been providing care. There are a variety of types of caregiver support groups from which you might benefit. 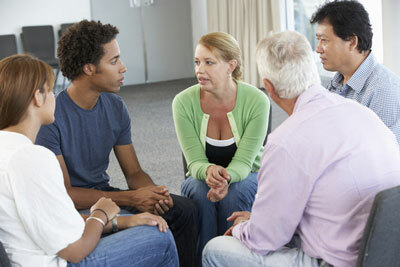 Some groups are condition-specific, such as Alzheimer's support groups. 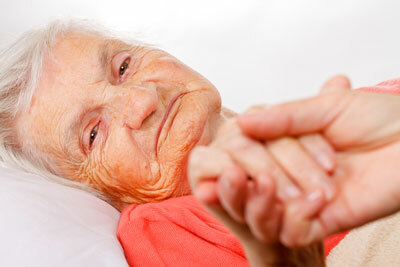 Others are relationship-specific, such as spouses providing care, or adult children caring for an aged parent. Some caregiver support groups are peer-led, while others have a trained facilitator to lead the support sessions. And of course, there are some support groups that are available online or over the telephone. If you are looking for a support group or are in need of some help with providing care for your loved one, a home care agency can offer assistance. Contact us today to learn about options for caring for your loved one as well as caregiver support resources available in your area.